The new collection presented by Benjamin Friman is born of the inspiration of abstract art artists, especially from the search for abstraction and expressionism developed in the work of the Russian painter Wassily Kandinsky. This painter not only intended to convey emotions and sensations with his painting, but also to persuade with colors and shapes. 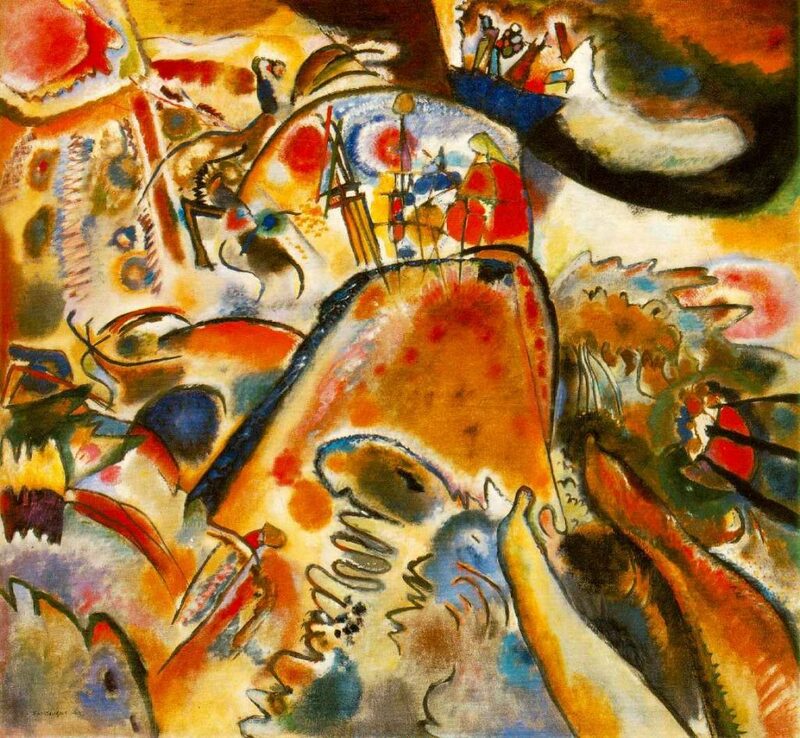 Kandinsky defended with his work the so-called ‘non-objective art’ that responded not to a reflection of appearances, but to the inner strength of the artist. The aspect that reflects this inspiration of abstract art is the prints present in this new collection, with geometric shapes, cold and warm colors using watercolors and water-based paint. The variety of color responds to the extensive personal and emotional record of the woman who inspires Benjamin F riman . The change from haute couture to ‘sport chic’ represent a before and after in the trajectory of the firm; In this way, we find dynamic and comfortable garments that combine ‘sport’ with clothing. The fresh and comfortable dresses are mixed with tight pants, blouses and bombers decorated with these geometric shapes and extreme range colors of the collection. They also appear a variety of garments with high waisted waist and long dresses suitable both for day and night thanks to the particular characteristics of these designs. Natural fabrics such as cotton made in guipoure or linen predominate in this new collection of the firm. 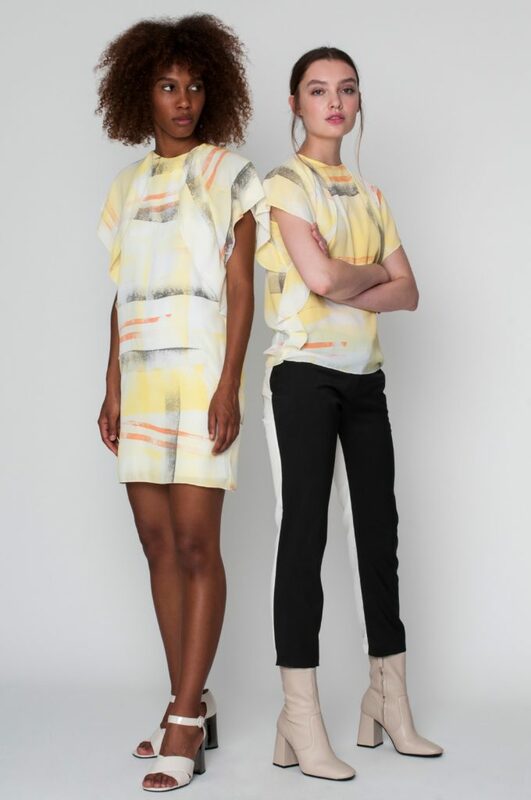 The New Collection ‘Spring-Summer 19’ from Benjamin Friman offers exclusive, active and comfortable clothing prints of artistic inspiration painted by hand in a innovative prêt-à-porter collection . The woman in this collection will feel more in tune with the dynamic and communicative world of today without attenuating her position of personality and elegance characteristic of high-level design.